Ramyeon instant noodles raises blood sugar, blood pressure and the chance of artery hardening and heart attack due to its high fat, sodium, sugar and carbohydrate content, the latest findings showed Monday. Those who regularly eat ramyeon three or more times a week are 2.6 times more susceptible to cardiovascular metabolic disease than those who have the instant noodles once or less frequently per month, a screening of 3,397 college students by professor Chang Nam-soo of Ewha Womans University and Oh Beom-jo of Boramae Medical Center showed. About 30.9 percent of those surveyed had ramyeon less than twice per week and 29.8 percent consumed ramyeon twice or three times per month. 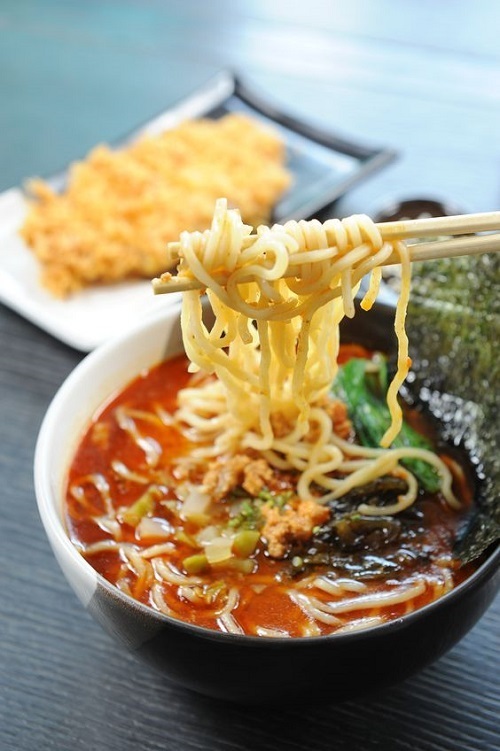 Those who ate ramyeon less than once a month accounted for 27.6 percent of people questioned while 11.7 percent said they had ramyeon more than three times per week. Women are more likely to contract hypertriglyceridemia than men as women's neutral fat level stands at 6.0 compared with men's 2.1.